Bespoke has been thoroughly abused as a marketing term, as a result, even newer less knowledgeable tailors misuse (I hope) the term and use it interchangeably with “made to measure”. For gentlemen, the art of suit construction is not to be taken lightly, coming from a long tradition of Savile Row artisans, the creation of a tailored suit seeks to hide a man’s physical deformities and enhance his gifts. To be bespoke, a garment must be, from paper pattern to cutting and sewing, all done by hand. As Gay Talese has demonstrated, a bespoke suit lasts a lifetime, the fore mentioned style icon took a 40 year old Brioni jacket and had it revived with olive piping. Christian Barker, a peer in the Singapore #menswear community has rocked his father’s Gucci jacket at the recent Milan Fashion Week. A well made bespoke garment that can earn status as an heirloom the way a Breguet or Patek can. That said, going bespoke is an increasingly costly affair, with industrialisation came the proliferation of the cheap suit and cheaper, quick glue and hot press fusing techniques- even fashion brands (defined as brands not purely making suits as a core) can be guilty of this. Thankfully, SuitSupply has put other mass producers on notice with their brand of ready-to-wear yet fully canvassed suits. Choosing a well fitted suit is an easier experience versus say choosing a well made one. A relatively cheaper properly fitted suit will look good at the start but it’s the well made ones that look good forever. I’ll attempt to explore, without getting too technical about the types of suit canvassing available. I’m going to be brutal. Modern Hugo Boss suits are no longer made like they used to. What you’re paying for in a $1000 Hugo Boss ensemble doesn’t even come close to Fokke De Jong’s generically labeled “SuitSupply” collection- during a recent interview, he explained he didn’t want to come up with some pretentious name, he just wanted to “supply suits”. An illustration: Floating canvas in a suit jacket. For a suit to be considered well made, you have only two options- “Half Canvassed” or “Fully Canvassed”. “Fused” was a method developed when machines rather than tailors started to churn out the garments. 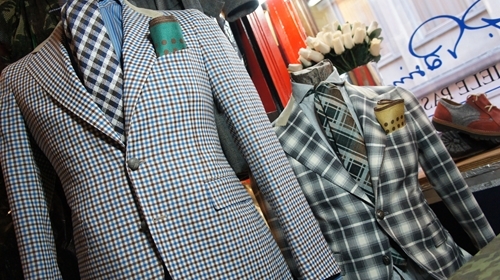 In suit construction, the canvas is a key factor that separates premium from low quality blazers. Before machines, Lord Grantham and even his butler Carson, walked the grounds of Downton in hand canvassed suits. Their’s are jackets which follow the typical jacket 3-layer deconstruction. The “floating” canvas made from either horse or camel hair provided the foundation for a jacket’s drape and even influenced how the lapel rolled (more on that next week). Hand stitched to the outer layer of the jacket, the canvas drapes naturally eventually conforming to your body shape creating ‘fit’. Horse hair is stiffer and more common, but those willing to spend more go for the softer camel hair which arguably keeps better shape than horse. 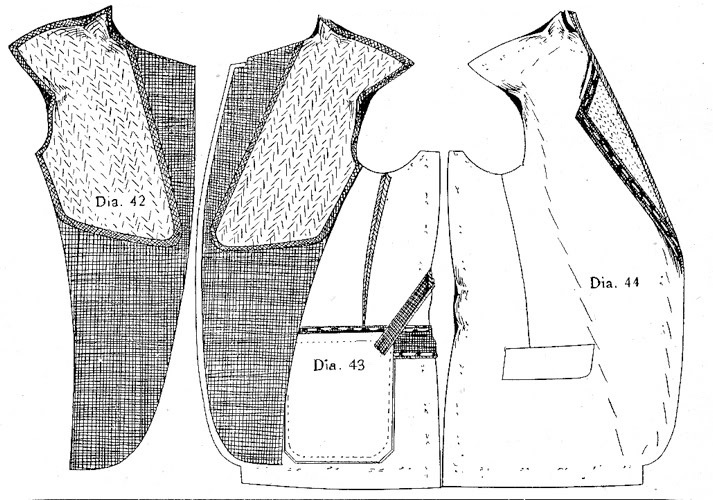 Only the upper torso front portion starting from the shoulder down is canvassed while the bottom past the half point is fused. The rise of the more cost-effective “half canvas” technique has led to the demise of the pinch-test. Most sub $1000 made-to-measure suits employ this option giving the consumer the benefits of shape and drape memory while avoiding the stiffness that comes with a factory fused jacket. More importantly, you’re more likely to perspire around your upper torso area so the natural canvas in that area keeps your blazer breathable (and affordable). Left: Fully canvassed Right: Half canvassed. Image: Montagio Custom Tailoring Australia. Most companies like H&M, Zara and Calvin Klein fuse their suits with glue rather than canvas it. This is the result of fashion trends rather than their lack of quality, when you follow fashion, you’re more likely to buy and toss, you’re better off getting the full canvas construction when you’re making something to keep for a lifetime- I digress. Fused jackets are unnaturally stiff and even if the fabric is wool, you won’t get the drape the way a full and half canvas blazer can give. Worst of all, the glue degrades over time or during dry-cleaning- this creates “bubbles” in your jacket when the wool separates from its glued-on “canvas”- no tailoring magic can save your jacket at that point- you might choose to heavily wax your blazer to delay the inevitable but it would result in an even stiffer jacket. Due to the waterproof nature of the glue, your jacket also become less breathable and when paired with polyester, you have the makings of a portable sauna- this is why I avoid cheap suits like plague. As mentioned before, the half canvas technique renders the front jacket button hole pinch test moot. 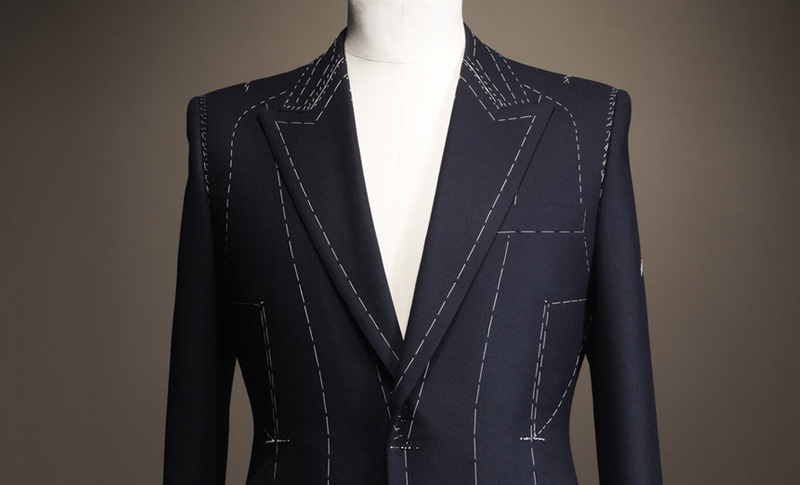 You also used to be able to tell from pick stitching (the series of stitches on the jacket’s lapel edge) whether it was fused or canvased but thanks to more “tailoring knowledge”, mass brands have started to add non-functional pick stitching for style. The sure fire way is to take a knife to the jacket like in the video. BUT, in a pinch (pardon the pun), you can perform a simple test. Take hold of the sleeves and pinch- feel the weight, thickness and pliability of the fabric. Now do the same test of the top front panel (where your chest would be) of a jacket – if it feels the same as the sleeves- it’s canvassed (it might only be the top half). A fused jacket will feel thicker during the fabric pinch. 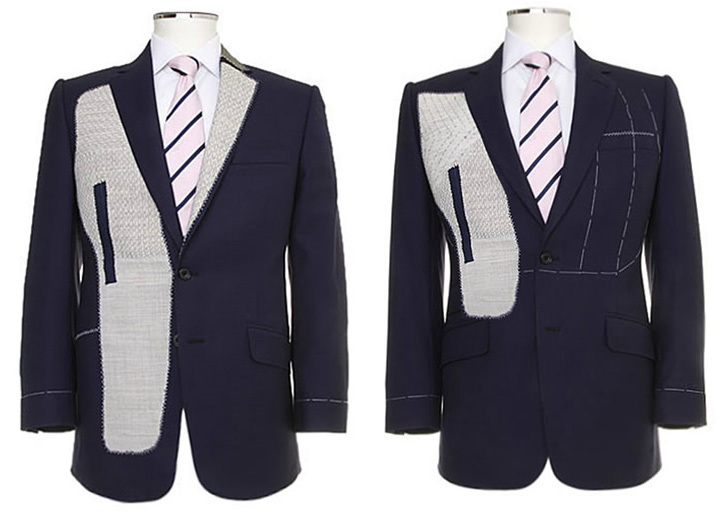 Alternatively, if your garment is besopke or made-to-measure: Just look at your basted jacket during your fitting, you can pretty much identify the type of canvassing based on the image provided by Montagio custom tailoring. Styleforum has an excellent dissertation if you wish to go into greater detail. Gieves & Hawkes at No.1 Savile Row for the ultimate bespoke suit. Yes, only full canvassed jackets can be found here.